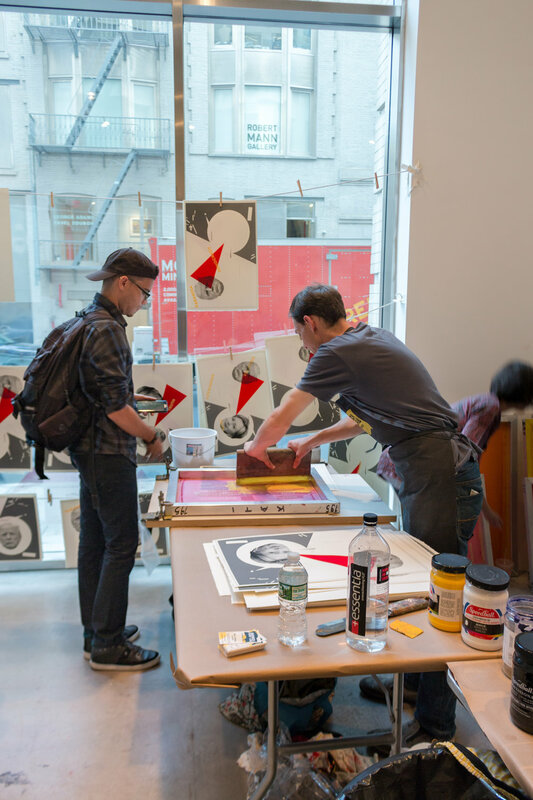 IPCNY's 3rd annual Printfest MFA and Senior BFA Print Fair opened during NY Print Week, with students from 16 colleges and universities exhibiting their prints from October 26-28. 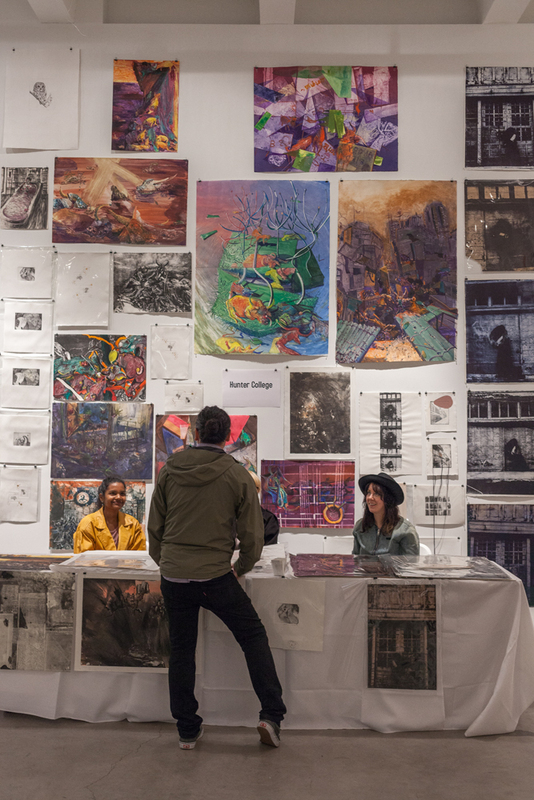 The fair included demos by Speedball, which sponsors the event, as well as a panel discussion on careers in the arts, and a hands-on poster-making workshop led by exhibiting artist Yevgeniy Fiks (on view in Russian Revolution: A Contested Legacy) and our friends at Bushwick Print Lab. View photos of all the events below. 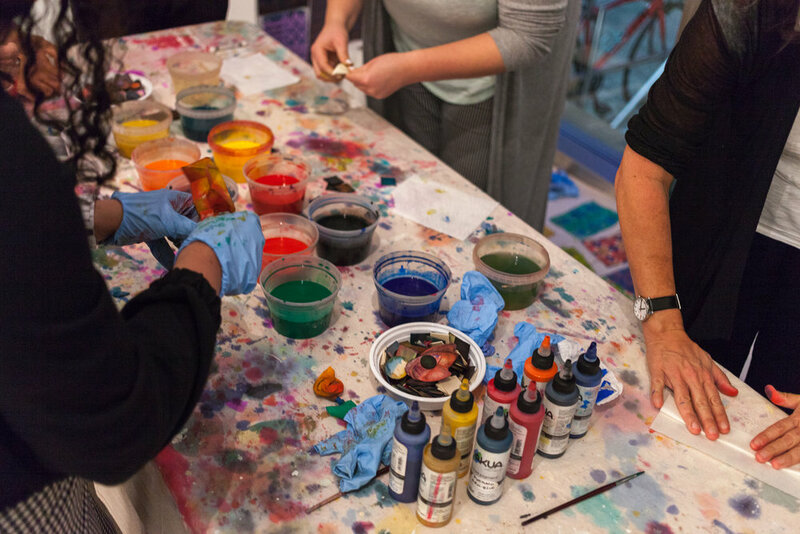 PRINTFEST is proudly sponsored by Speedball, Akua Inks, and Arnhem 1618 paper.